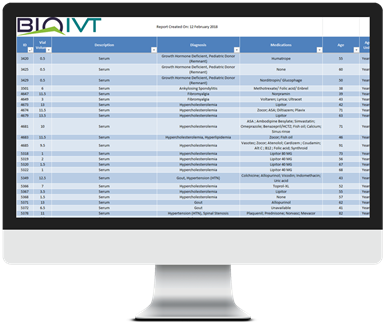 With access to a wide range of donors with various common and rare conditions, BioIVT provides you with incomparable access to diseased and non-diseased biofluids as well as the capacity to perform custom collections per clients demand. All sample collections are accrued with strict consensual control, quality assurance and accurate corresponding clinical data. Download our inventory report to see what samples are available today!